When the final vote came in last night, Miller and Eisenhower didn’t have to worry about being ousted from the Citrus Belt League in favor of Carter and Citrus Valley. Now they’re all in the same league. The Citrus Belt League became an eight-team league Monday evening in a vote that adopted the 19th of 35 proposals for the Citrus Belt area. The changes will take effect in the fall of 2014. Instead of half the Citrus Belt League making the playoffs, only three of the eight teams will receive automatic postseason berths. Several coaches were understandably not particularly happy with this. To read their reactions, check out Staff Writer Pete Marshall’s story from the releaguing meeting last night. To see the new leagues, click on the thread below. Releaguing decision today: Carter in, Miller out of Citrus Belt League? There were plenty of variations in the 35 releaguing proposals for the Citrus Belt area to be decided between today, some of which had longtime members Miller and Eisenhower exiting the Citrus Belt League. A meeting at Arroyo Valley today, which will assuredly be lengthy, will emerge with the releaguing moves that will take effect in the fall of 2014. Some of the exciting possibilities? Citrus Valley, which has dominated the Mountain Valley League, was a popular pick to enter the Citrus Belt League. Carter, which has won the San Andreas League in football the last two years, was also granted entrance into the CBL in several proposals. Staff Writer Pete Marshall reviewed all 35 of the releaguing proposals submitted to the committee. Check out the story he wrote about them. 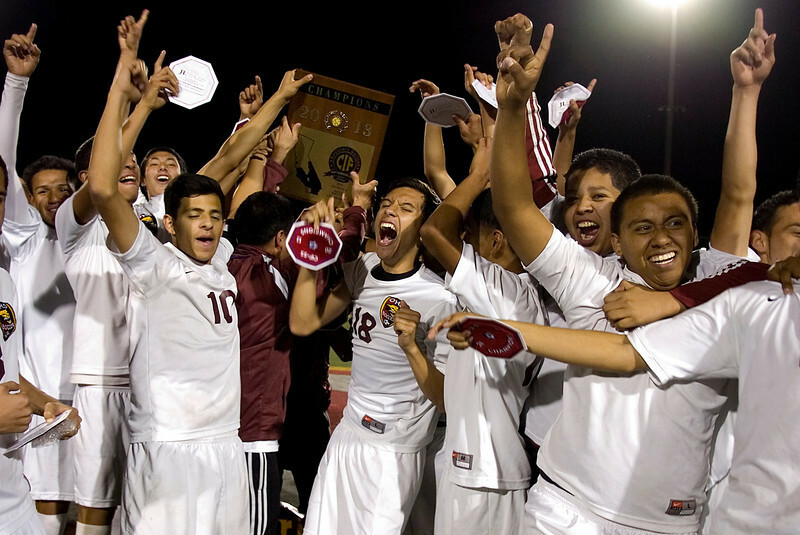 Turns out the actual CIF championship was just the beginning for the Ontario boys soccer team. The hardware keeps rolling in for the lone local team to win a title as Loyola Marymount-bound forward Adrien Perez was named the All-CIF Player of the Year in Division 4 and Vince Mangione Coach of the Year. Carter, which went undefeated this season until losing the CIF-SS Division 6 championship game, landed three players on the all-CIF team. Alta Loma, Ontario Christian and Ontario all had a pair of players on the all-CIF team.